Formula 1 is most technologically advanced sport in the world. F1 Cars are the fastest single seater racing cars in the where teams/constructors from around the world compete in Grand Prix races around the world to win the World Drivers' Championship and the Constructors' Championship. The F1 cars are not designed to achieve top speeds, they are designed to go fast around a race track. The Formula 1 cars are one of quickest accelerating cars in the world and top speed achieved by them depends on the circuits on which they are driven. The top speed and acceleration of an F1 car is inversely proportional to each other, teams make setup changes to achieve the best out of an Formula One car for a particular race weekend/Grand Prix. The gearing of a F1 car is most important factor in helping them achieve top speeds, the longer the gear ratios, the higher the speed top and vice-versa. How fast does a Formula 1 car go? What's the top speed record of an F1 car? Has an F1 car broken the 400 km/h speed barrier? 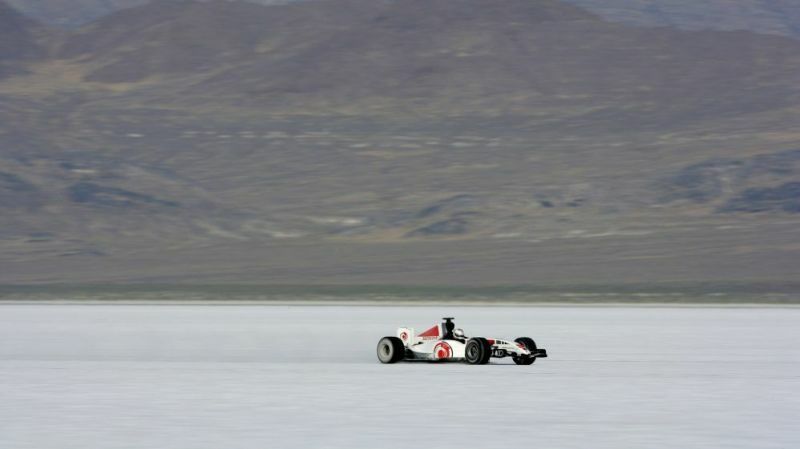 In 2006, the Honda Formula 1 team decided to take their F1 car (the same car that had been raced by Jenson Button and Takuma Sato in 2005) to Utah’s world famous Bonneville Salt Flats. A lesser know driver, Alan van der Merwe (FIA's Medical Car Driver) set the F1 land speed record of 397.360km/h (246.908 mph) which is sanctioned by the FIA. The team also managed to clock a staggering speed of 413.205km/h (256.753 mph) while testing in the Mojave Desert it. While testing one month prior to the 2005 Italian Grand Prix, Juan Pablo Montoya of the McLaren-Mercedes set a record top speed of 372.6 km/h(231.5 mph), which was officially recognized by the FIA as the fastest speed ever achieved by an F1 car, even though it was not set during an officially sanctioned F1 session. Did Bottas beat Montoya's F1 Top Speed Record? According to Williams Formula One team, In 2016, Valtteri Bottas hit an incredible speed of 378km/h (234.9mph) during the practice on the streets of Baku, Azerbaijain Grand Prix.